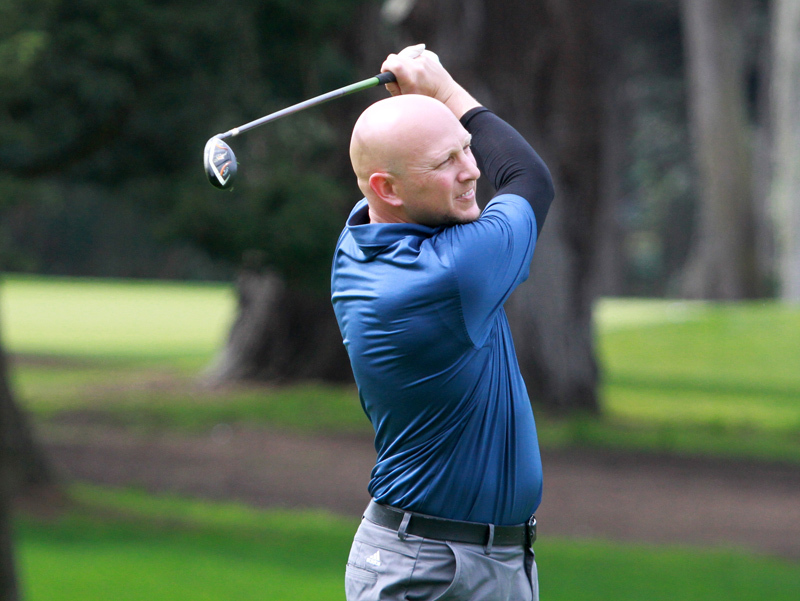 Fairfield’s Jason Anthony and Simar Singh of Los Altos took home the big prizes at the annual San Francisco City Championships at par-71 TPC Harding Park. Jason Anthony, the 2017 NCGA Player of the Year, got a win for the “old” guys. Competing at times against players literally half his age, Anthony, 34, built an early 3-up lead and held on from there, defeating 18-year-old Max Ting, 3 and 1 in the 36-hole finale. In winning Player of the Year honors, Anthony got a win at the 2017 NCGA Valley Amateur/ It marked his first NCGA victory as an individual. Now, he joins the likes of Ken Venturi and George Archer as champion of one of the biggest amateur championships in the state. “To win the San Francisco City and get my name on that trophy is pretty awesome. I had to work hard for this one,” said the No.3 seeded Anthony, who along with competing against 18-year-olds played nearly 162 holes in six days. In the afternoon portion of the finale, Anthony was dormie on the 15th hole. Ting didn’t give in, but Anthony eventually shut the door with a clutch putt on the 35th hole (No.17). Helping Anthony along the way was his caddie–girlfriend Natashia Overfield. It was the first time Overfield has carried Anthony’s bag. Simar Singh was looking for a boost as she prepares to embark on her collegiate career. The 17-year-old Los Altos High senior, who’ll start playing at the University of Oregon this fall, got it with a 4 and 3 win over Aman Sangha in the 36-hole finale. 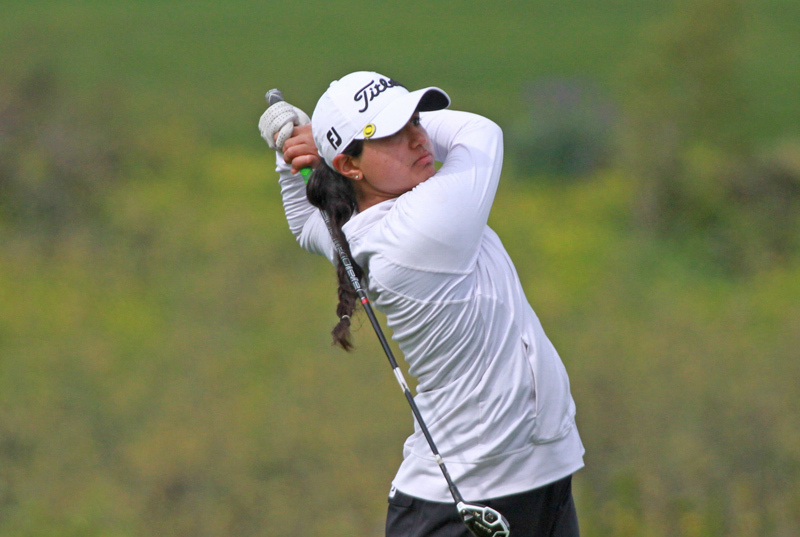 “This is just what I needed to prove that I’m ready for college golf,” said Singh, whose resume also includes a victory at the 2015 California Junior Girls’ Championship. Singh, who joins Juli Inkster and Dorothy Delasin as champions of the event, and Sangha both were in a groove in the morning portion. They’d each hit 16 greens in regulation en route to an all-square score. In the afternoon, Singh pulled away due to stellar play around the greens. Singh picked up golf from her father, Biri. When she was eight, Biri took her to an LPGA tournament at nearby Half Moon Bay Golf Links. Singh wasn’t just fascinated. She’d tell her dad that she too wanted to play professional golf. “That inspired me to keep playing,” Singh said. Olympic Club champion Randy Haag continued his recent success at his hometown event. winning his second Senior title in three years following a 4 and 3 victory over No.7 seed Scott Anderson. Haag, the No.4 seed, won the Championship division title in 1999. 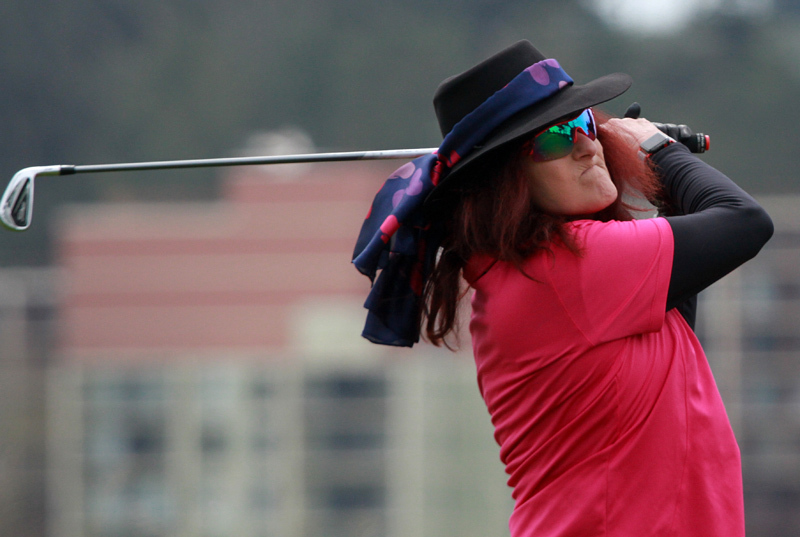 The inaugural San Francisco City Senior Women’s Championship featured three players–former Curtis Cup captain Pat Cornett, Rachel Moreaux and Pam Palmieri–playing 18 holes of stroke play. Cornett and Moreaux came in tied at 9-over 81. In a card-off, Moreaux won the title. 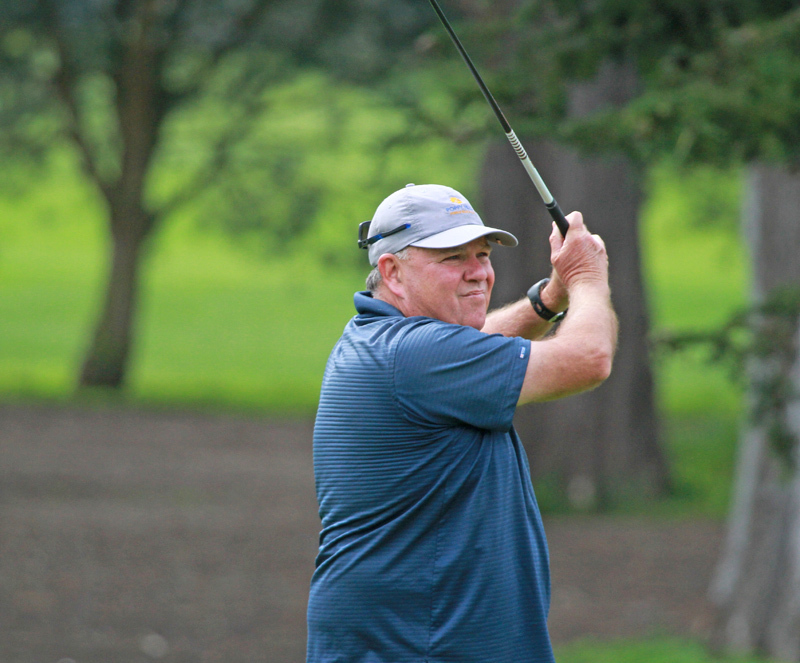 Mark Miller, a member at Antioch Golf Club, won his first S.F. Super Senior title, defeating runner-up Mike Parnow, 4 and 3. 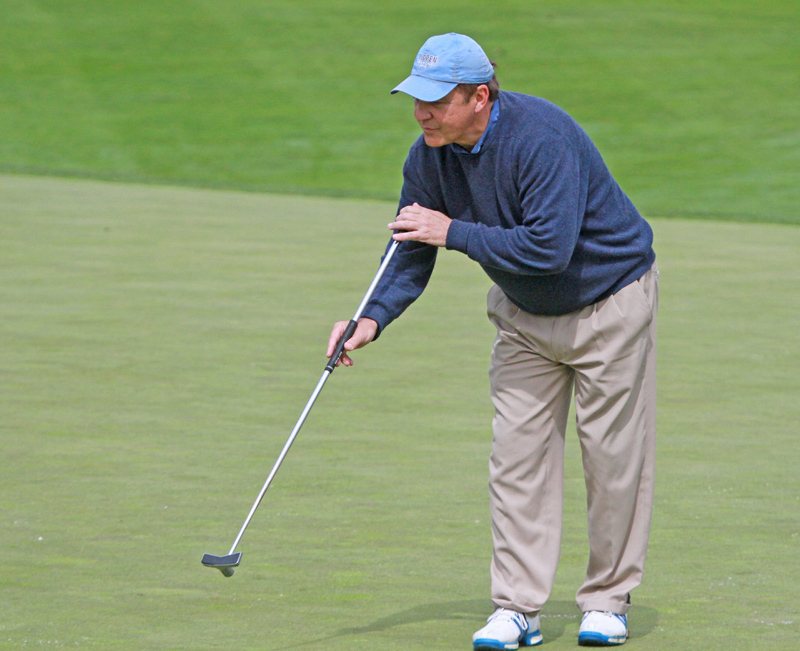 Miller, the No.1 seed, became the second player to win both a Senior and Super Senior crown, joining Vic Santa Maria. Players are getting closer to titles as the annual San Francisco City Championship heads into its final weekend. In the Championship Division, the Bracket 1 quarterfinals will see No.17 seed Joseph Chun taking on No.25 Caleb Shetler and No.52 Max Ting playing No.21 Brett Viboch. Viboch won a share of the NCGA Four-Ball Championship in 2016 with partner Bobby Bucey. Over in Bracket 2, meanwhile, there hasn’t been as many upsets. There, No.2 seed Lucas Carper will face No.23 Tommy Semereaux and No.3 Jason Anthony will face No.6 Brendan Hy. Anthony is the defending NCGA Player of the Year. On the Women’s Championship side, the quarterfinals will feature No.1 seed and two-time defending champ Sabrina Iqbal playing No.9 Simar Singh, No.13 Madelyn Gamble facing No.12 Sierra Kersten, No.2 Elizabeth Scholtes facing No.7 Aman Sangha and No.3 Mika Jin playing No.11 Arrielle Swan. The Senior Championship semifinals will see No.17 CoreyWest playing 2016 champion and defending NCGA Senior Player of the Year Randy Haag (the No.2 seed) and No.7 Scott Anderson playing No.3 James Camione. Over in the Super Senior division, eight players including No.1 Mark Miller and No.2 Ron Johnson remain in the brackets. The championships for each division will conclude on Sunday.